Rockview features the top groups and artists of the metal and rock generation.Dealing strictly with spoken word, Rockview promises to reveal unknown facts and exciting details of these leading performers. Each Rockview release will feature liner notes by internationally respected rock D.J and journalist Chris Tetley. 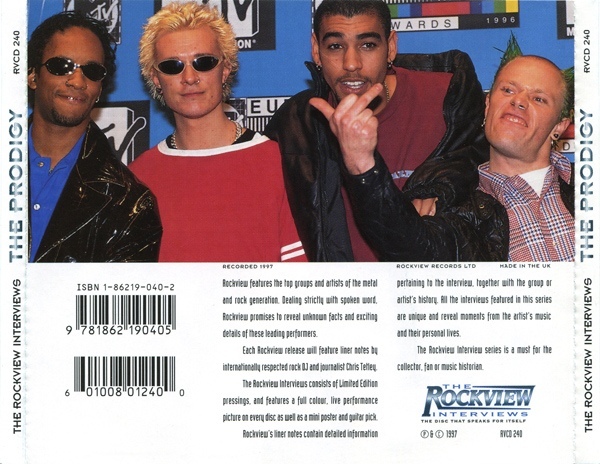 The Rockview Interviews consists of Limited Edition pressings,and features a full colour,live performance picture on every disk as well as a mini poster and guitar pick.Rockview's liner notes contain detailed information pertaining to the interview,together with the group or artist's history. All the interviews featured in this series are unique and reveal moments from the artist's music and their personal lives.The Rockview Interviews series is a must for the collector,fan or music historian. Comments: The interviewer is"Crazy" Chris Tetley. The CD comes with a rockview guitair pick and cd liner opens into a poster. 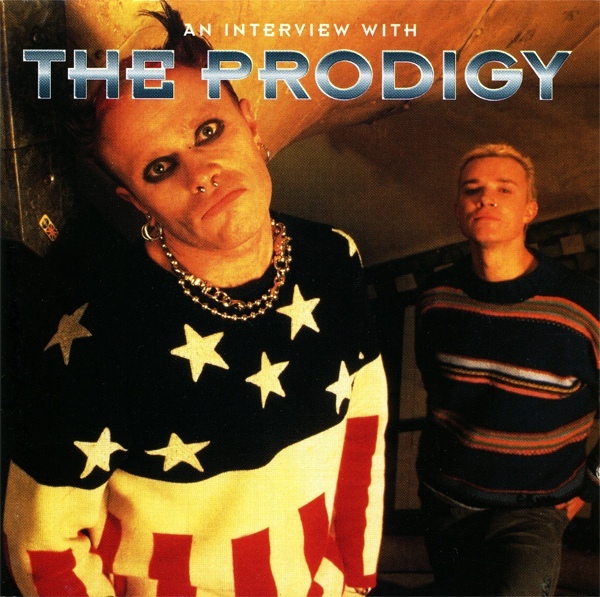 This was recorded in 1997. The interview is pretty good in my opinion. Keith and Leeroy are in restaurang and they are talking about The Fat Of The Land, touring and about other stuff. 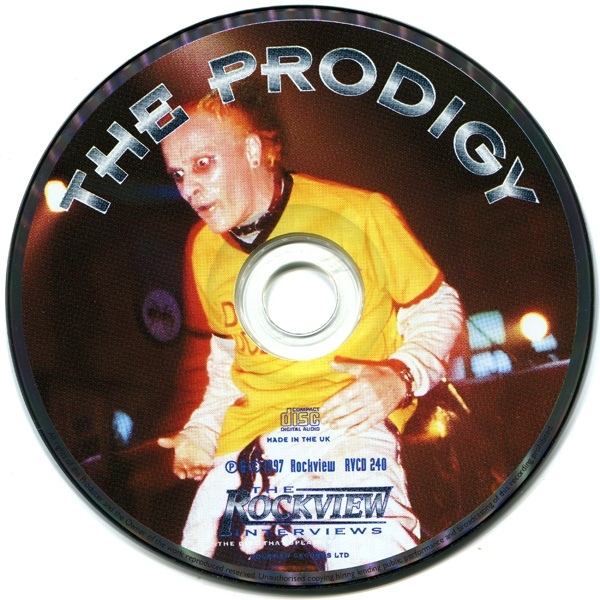 It can be bought at most any music store that sells prodigy merchandise.